Bathing your dog is just about the worst thing ever! Your dog hates it, you hate it, and your back especially hates bending over into that tub for 10 minutes straight! 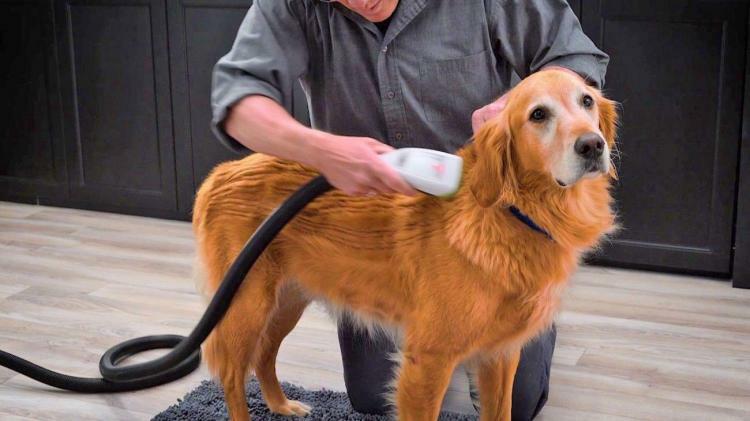 What if you could easily bathe your dog right in your living room with no mess whatsoever? 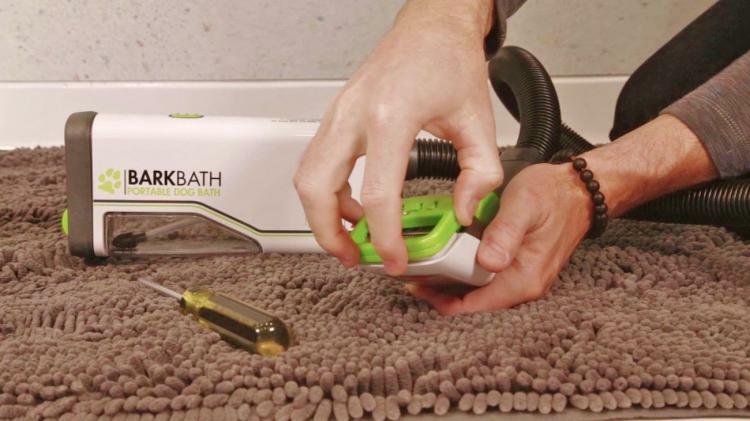 The Bark Bath is a new portable dog bath that works just like a mini vacuum. 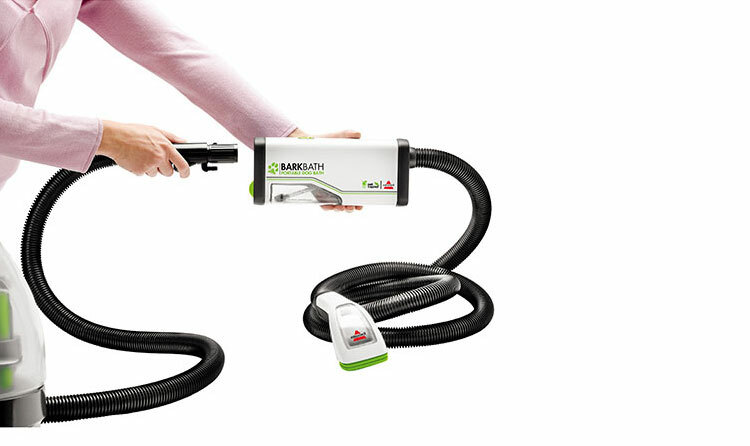 Already own a Bissel Portable Deap Cleaner? You can get just the dog bath tool here. How it works is, the Bark Bath handle has a combination of a vacuum and specially designed nozzles that spray soapy water underneath your dogs fur. As you slowly drag the Bark Bath handle over your dogs fur, it will instantly wash and vacuum up the dirty water, with no mess leftover. The Bark Bath can clean dogs up to 80 lbs with less than 48 oz of water, compared to a traditional dog bath that would use up to 19+ gallons of water. 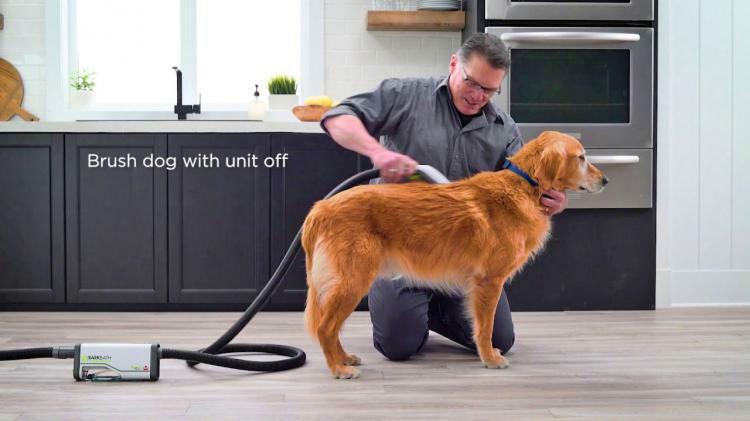 The only issue will be if your dog has problems with the sound of a vacuum, as the Bark Bath is around the same loudness of a standard vacuum. The portable dog bath is great for giving the dog a wash in the living room, out in the yard before they come back in after running around in the mud, to take with you while on the go in the car, or after a trip to the dog park. 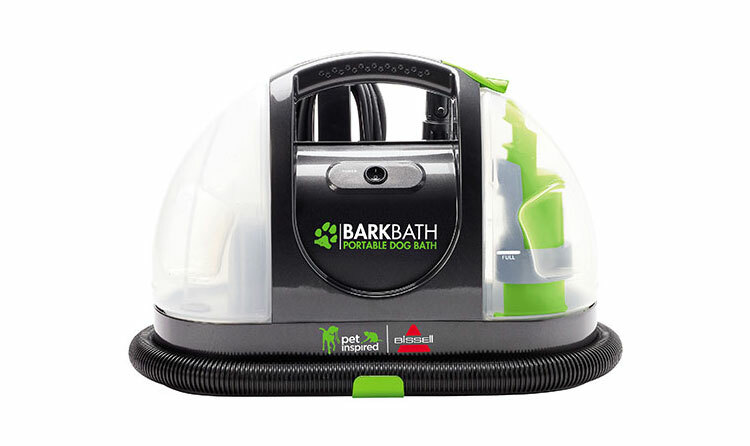 The Bark Bath includes a portable bath unit, the bath tool that has a hose that connects to the central vacuum part of it, a storage bag, a microfiber mat, a Face & Paws microfiber scrubbing cloth, and a 16oz bottle of no-rinse dog shampoo. 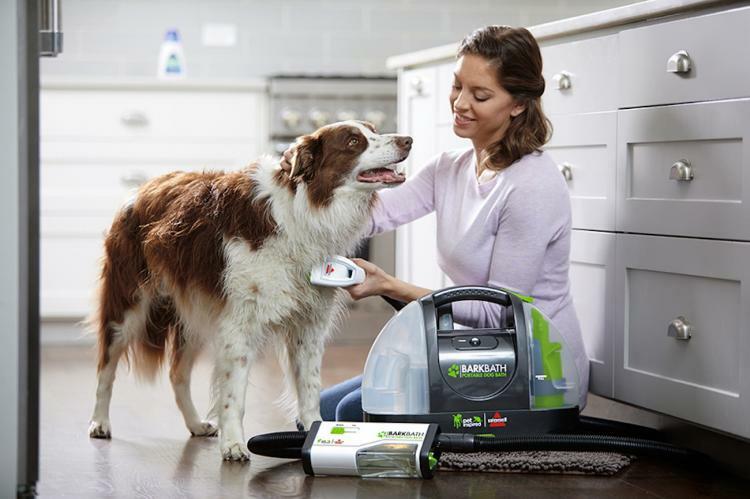 You can get the Bark Bath as a standalone unit, or you can purchase just the dog bath tool without the base, if you already own a Bissel portable deep cleaner vacuum. 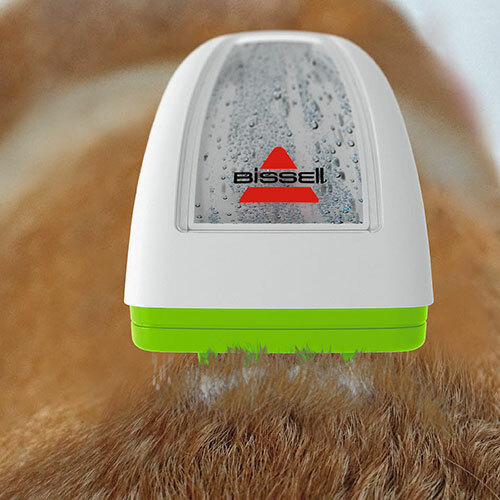 The Bissel Bark Bath portable dog bath vacuum is set to be release on May 1, 2017, but you can still purchase your unit on Amazon and have them ship it to you when it's released. Check out the Bissel Bark Bath in action via the video below.